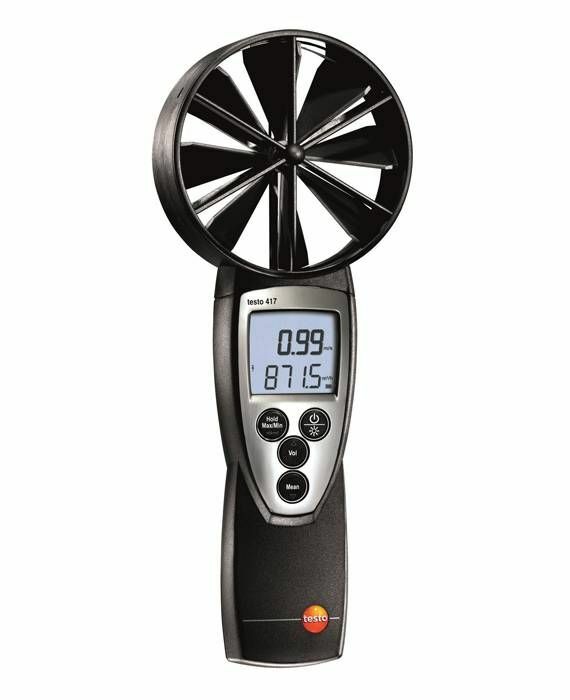 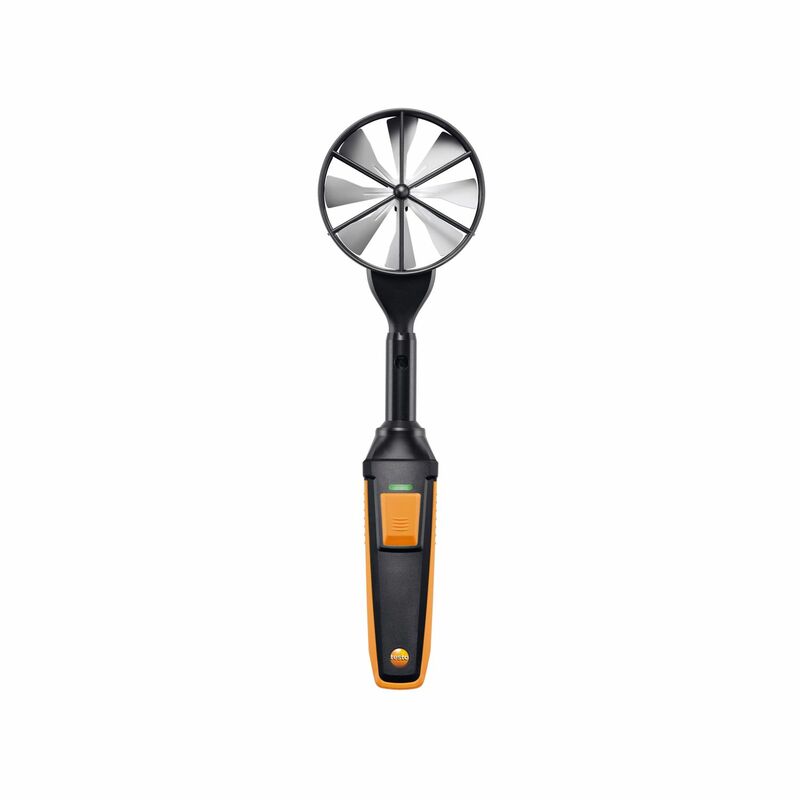 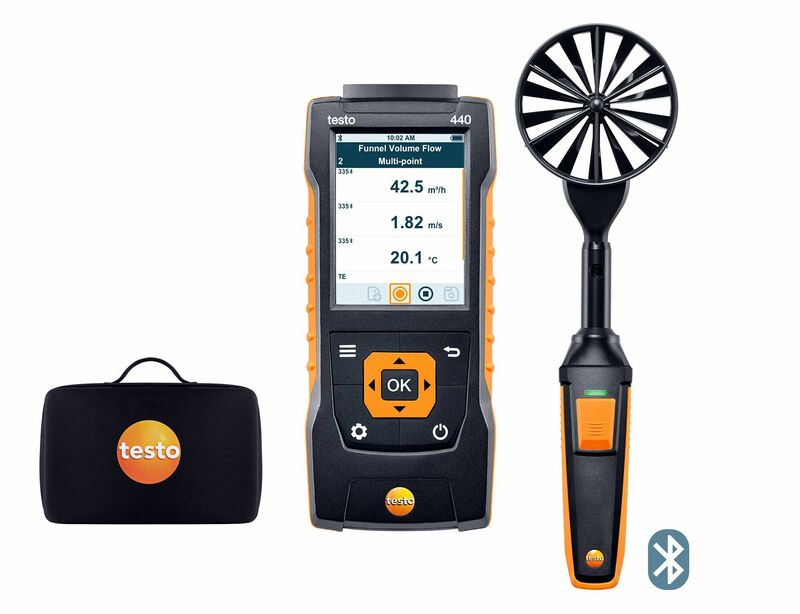 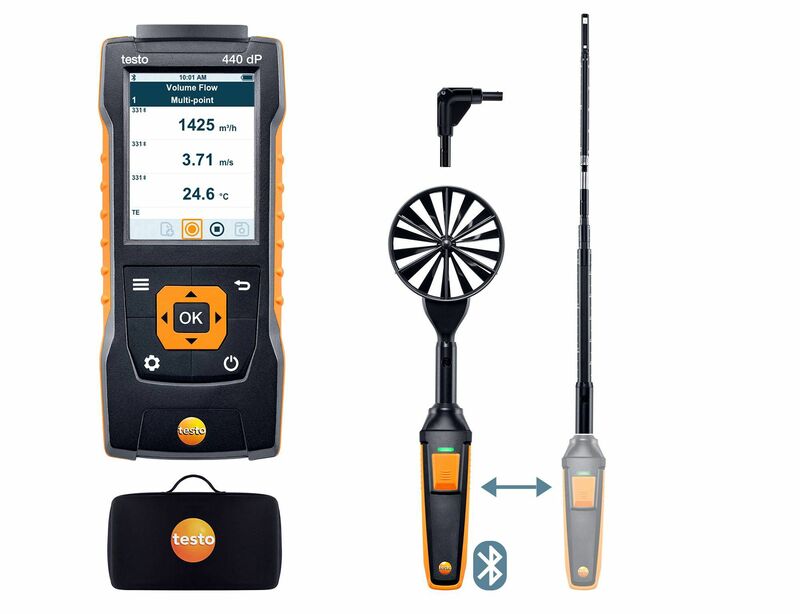 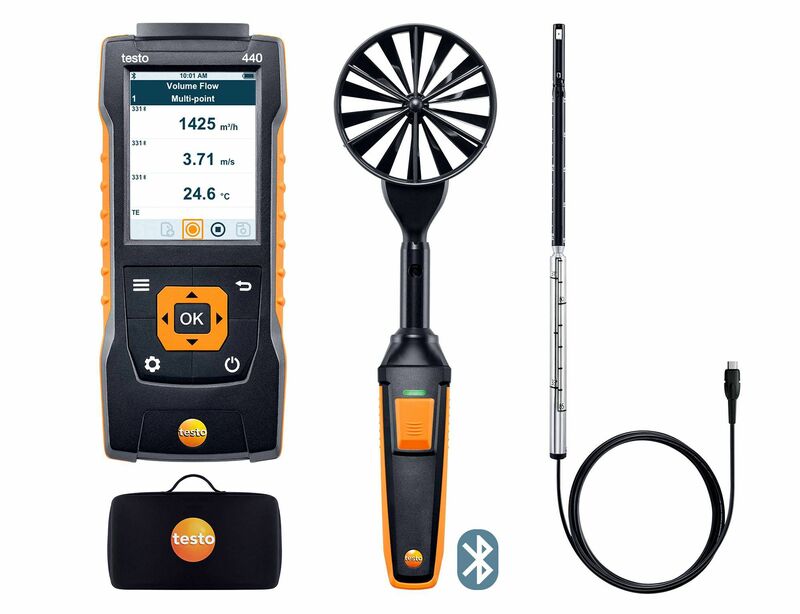 Testo is the only manufacturer providing a solution the problem of measuring equally easily and accurately at swirl outlets. 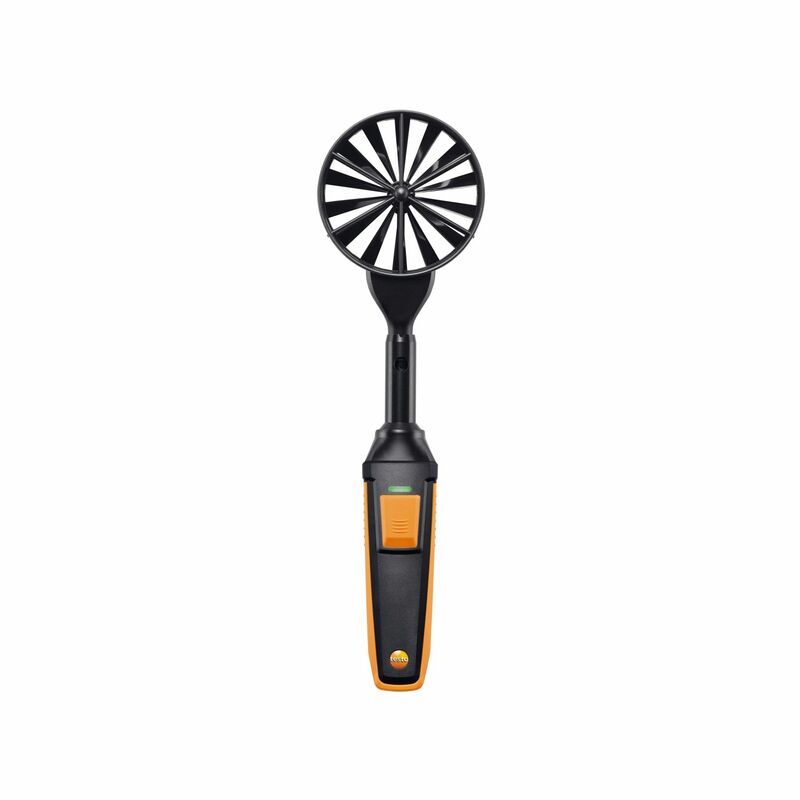 The innovative volume flow straightener testovent 417 supports you perfectly in flow velocity measurement at swirl outlets. 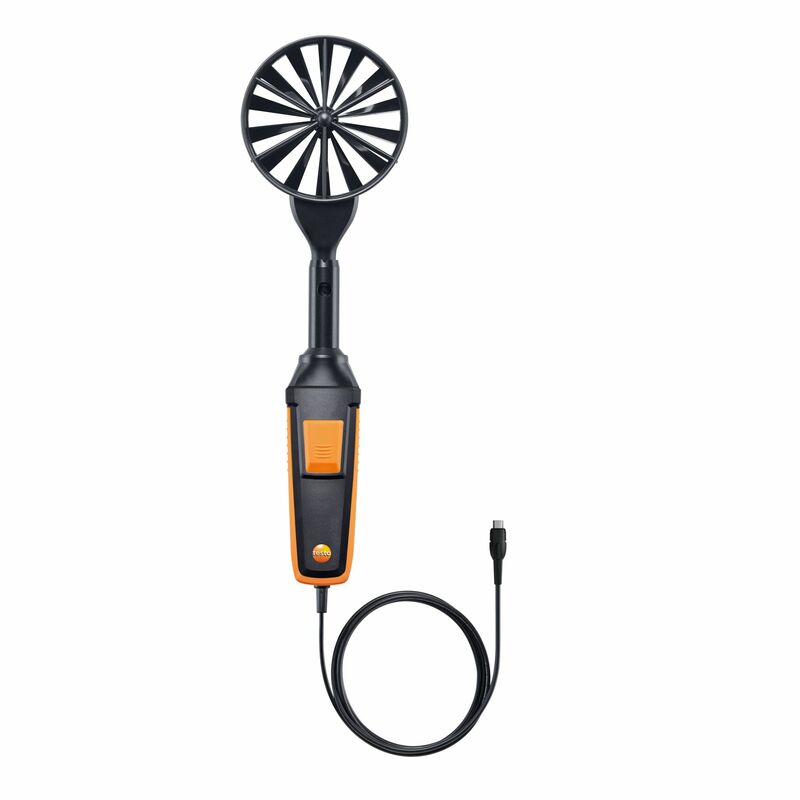 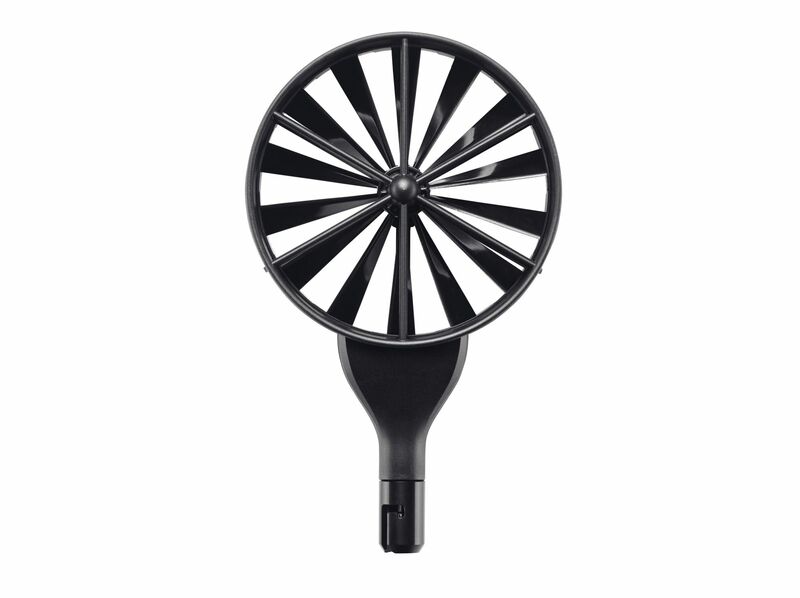 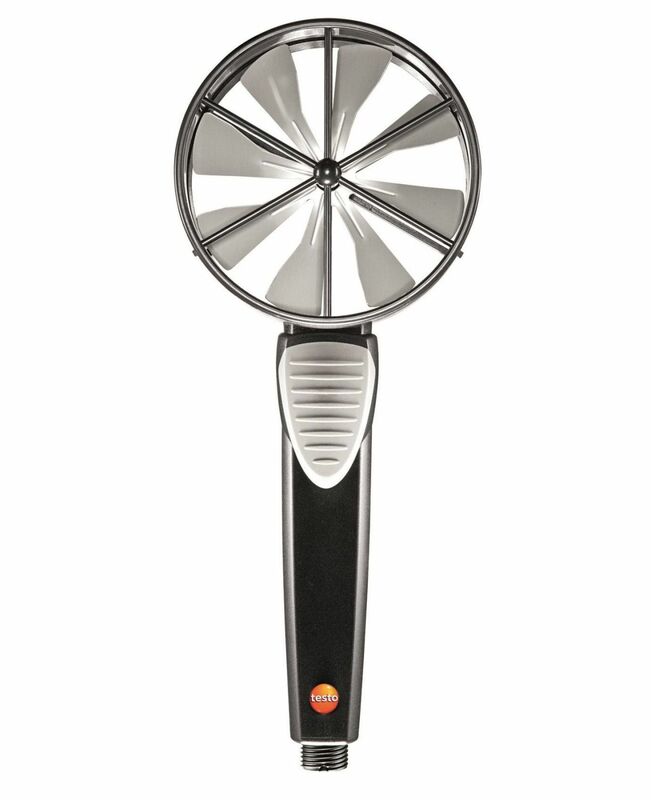 The volume flow straightener allows redirection of the swirling flow to an almost uniform flow which can then be reliably recorded with a vane anemometer or vane probes. 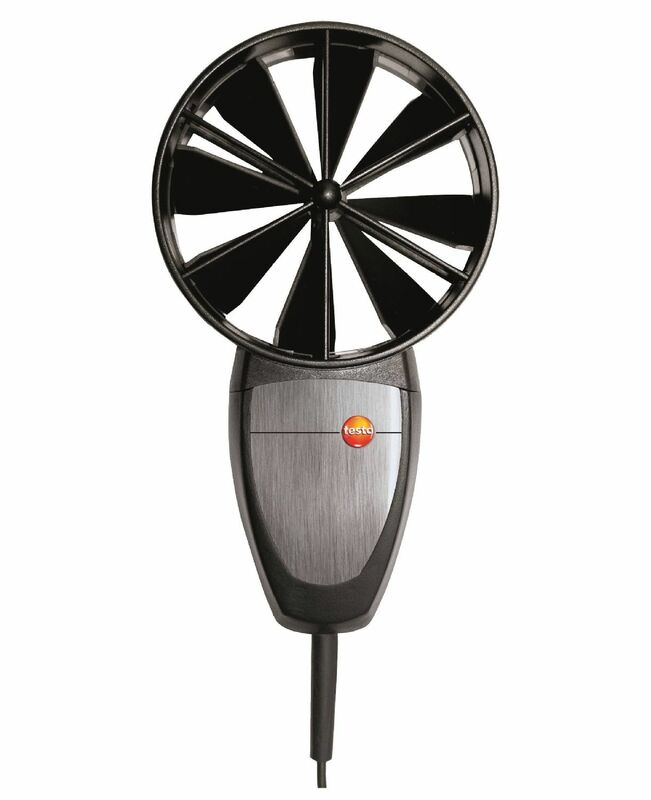 Measurements at swirl outlets without the volume flow straightener lead to lower or higher measurement results, depending on the flow direction in which the swirl impacts onto the vane. 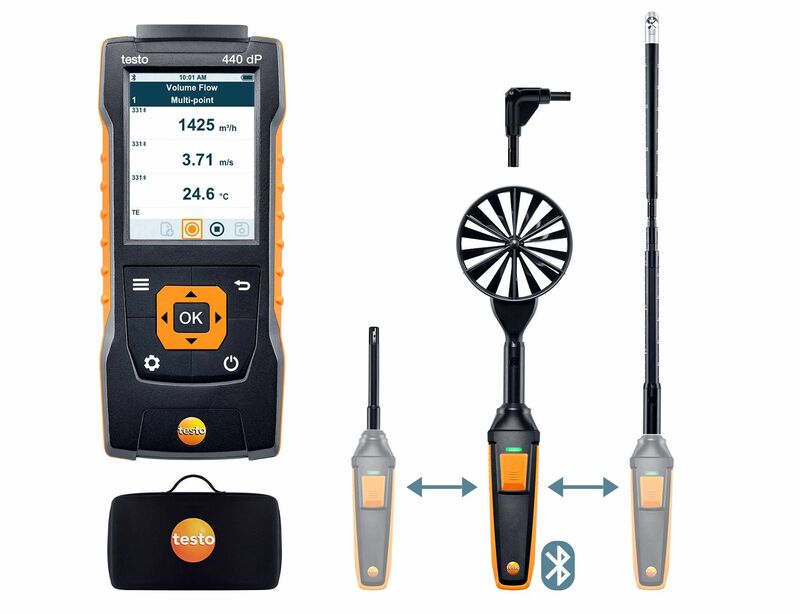 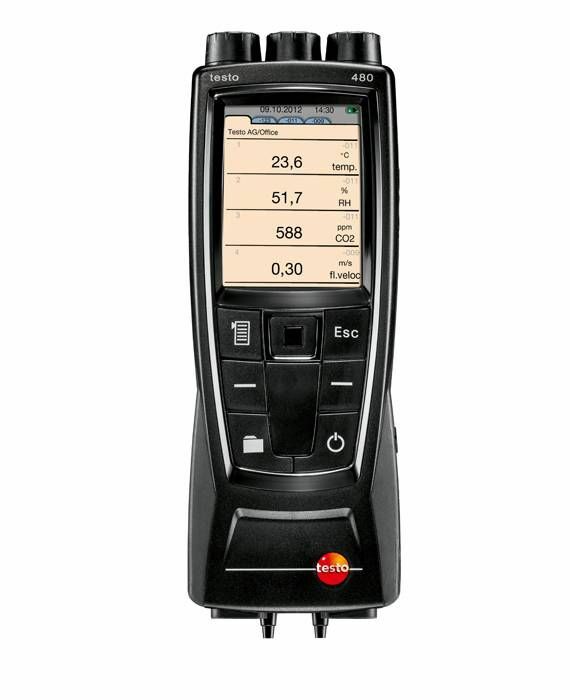 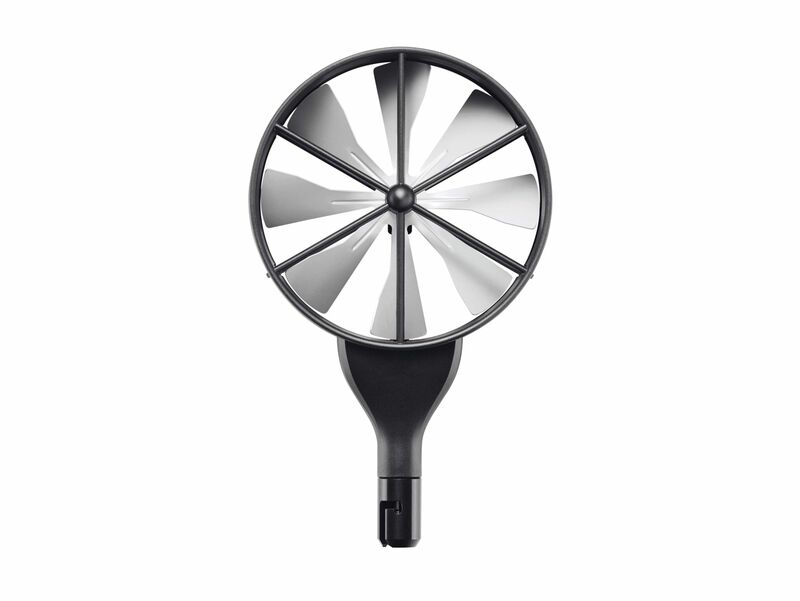 The volume flow straightener is used in combination with the optional measurement funnel testovent 417 and the optional vane anemometer testo 417 or the vane probes (Ø 100mm) of testo 435 and testo 480.